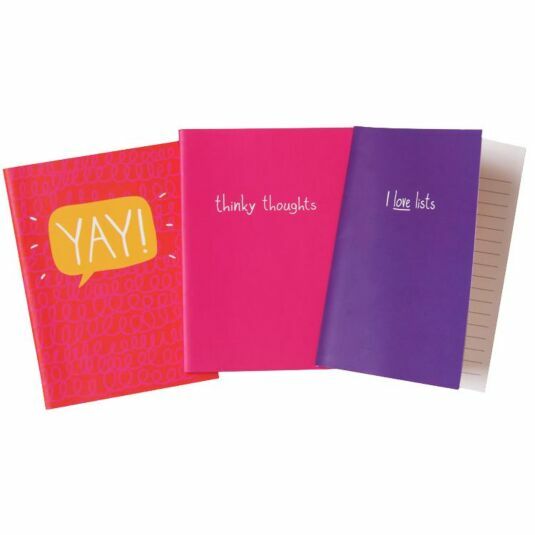 Write down any thoughts, doodles, poems, lists, or anything else you can think of in this set of three mini notebooks. 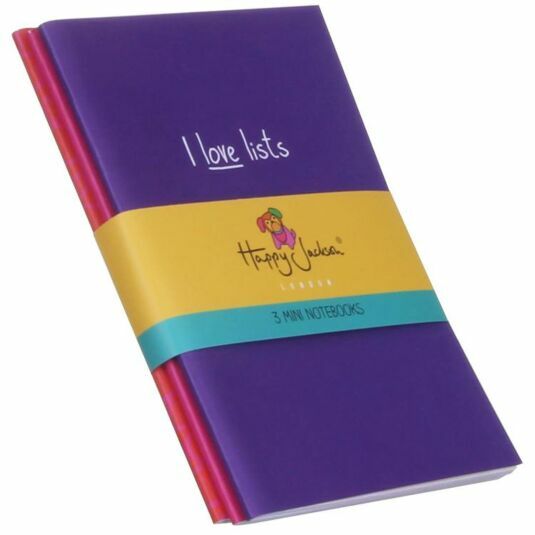 Featuring the fun and colourful designs of Happy Jackson, each notebook features a distinctive colour and a funny remark on the front. They read: "Yay", "thinky thoughts" and "I love lists". 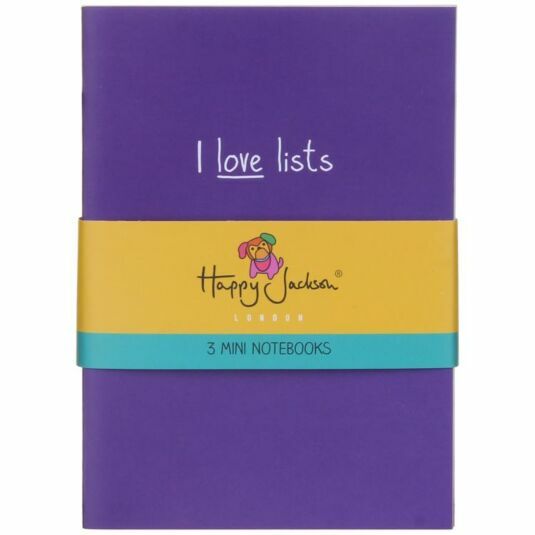 Small enough to carry around in a bag or pocket, they are perfect for writing on the go. Two of the notebooks contain lined paper, and the pink one contains plain paper. Each is approximately 48 pages.